Now that we're a month in to 2019, everyone has recovered from the holiday season and is eagerly looking ahead to the rest of the year. If your company is considering moving to a new industrial building or renting industrial space for the first time, there are some predicted trends that are important for you to know. Amazon disrupted the e-commerce industry with Amazon Prime free two-day shipping, leading many retailers to strive for faster shipping times in 2018. As a result, warehouse space was in high demand last year with companies scrambling to secure large facilities in remote areas where rental rates were low. 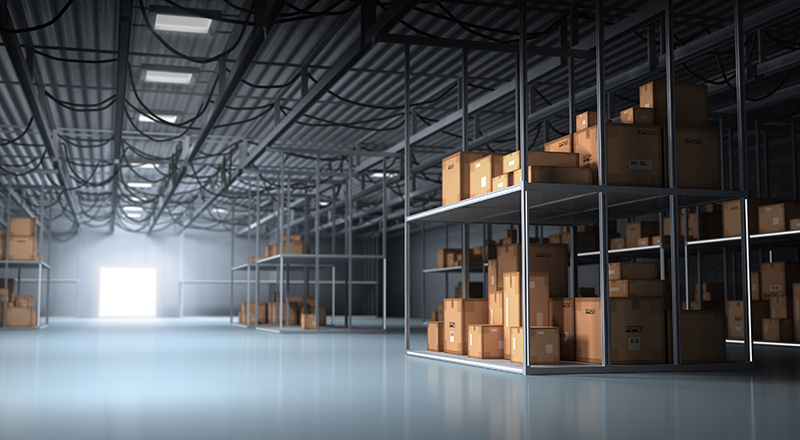 In 2019, this trend is sure to continue as Amazon and other e-commerce giants continue to outgrow their current warehouses and are forced to expand. For smaller companies, this means that leases on warehouse space will be at premium rates in many areas. The commercial construction industry was in a state of crisis throughout much of 2018. Costs of supplies rose due to foreign trade wars, and low unemployment rates meant that labor was scarce and expensive to acquire. Most experts believe that trade and labor issues will not be resolved during 2019. This means that the cost of building new industrial facilities will be high, and a lack of manpower could mean projects take a long time to complete. Smaller companies may find that existing industrial space is being quickly leased or purchased by larger corporations who believe it more cost effective and convenient to avoid new construction. Renovation costs for tenants and buyers will also be high due to the state of the construction industry. Due to the high demand for warehousing, developers are currently investing in multi-story warehouse development. In Europe and Asia, these massive industrial buildings are commonplace but were rare in the U.S. until last year. Developers already have projects underway to build some of these large facilities in Chicago, Miami, New York, San Francisco and Seattle. Experts believe that more projects will begin this year. Obviously, multi-story warehouses are more expensive to rent. Projections estimate that rents in these new facilities will likely be two to three times as much as average rates for leasing single-story warehouses. Last year, companies were mainly focused on acquiring large warehouses in underpopulated areas. Now, many businesses are finding that in order to provide the expedited shipping customers are demanding, they must also have smaller warehouses near key metropolitan areas. If you're looking for industrial space near a major city, you may want to get started soon to avoid paying higher rent rates due to a shortage of space. Grocery stores are working toward providing more and more e-commerce opportunities for customers. Since many of their products are perishable, grocery stores require warehouse space with advanced cold storage systems. You're likely to see more new industrial buildings constructed with this technology and some existing buildings being renovated to include them.